SLI is a proprietary parallel processing technology designed by Nvidia to allow multiple GPUs to link up and operate within the same PC by way of an SLI bridge for fast data transfer between the two units. The acronym itself stands for Scalable Link Interface with the idea of scalability being at the core of the multi-GPU technology. To achieve this, multiple GPUs can render frames simultaneously for single display output, thus, in theory, greatly enhancing the graphical processing capabilities of a machine. In its modern iteration, the SLI technology is owned and engineered by Nvidia, but this wasn’t always the case. The concept of SLI was the brainchild of now-defunct GPU manufacturer 3Dfx, who during its heyday in the 1990s was at the forefront of 3D graphics processing unit and graphics card technology, rivaling Nvidia and ATI (now AMD). 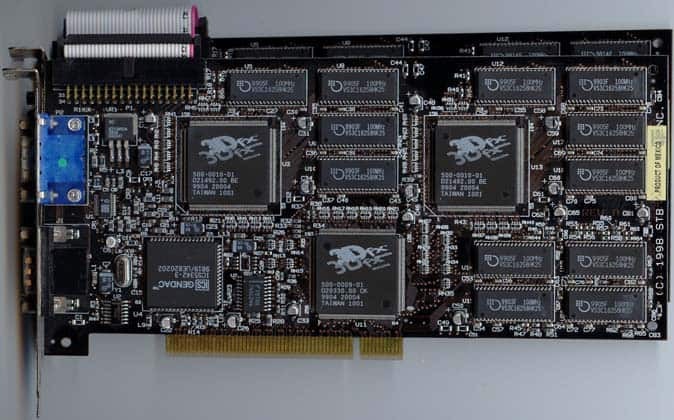 In 1998, 3Dfx manufactured and distributed a graphics accelerator line known as the Voodoo2, the first unit to make use of 3dfx newly introduced Scan-Line Interface, or SLI, and incorporating three GPUs on one card. The Voodoo2 was the first consumer-oriented video card dedicated to gaming and in many ways set the tone for the rich and vibrant gaming hardware scene we know and love today. The connection between two Voodoo2 cards was assured by a ribbon cable, which allowed the cards to share data and render the display by alternating the drawing of horizontal pixel lines. The technology allowed 1024×768 resolutions, a significant leap compared to single card competitors who could only manage a standard 800×600. On the back of an aggressive marketing push, the SLI technology promised to double the processing power of a PC. In reality, the technology encountered many issues mainly linked to having to sacrifice PCI slots to house two Voodoo2 units at the cost of network cards and the like. Alongside this, the actual rendering process was susceptible to unsightly display artifacts such as incomplete frames and tearing. The prohibitive cost of acquiring two cards (around $300 each at the time) proved a barrier to widespread adoption of the tech, and it remained the preserve of niche enthusiasts eager to brag about their gaming setup. 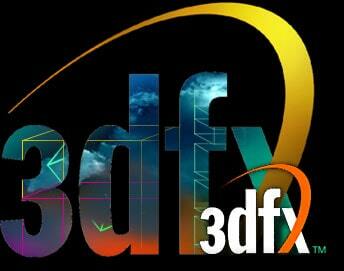 Sadly, 3Dfx’s fortunes were quickly heading south due to a messy merger with STB Systems, slowing sales, and the inability to keep up with the exponentially better GeForce and Radeon line of cards. In late 2000, Nvidia acquired the pioneering graphics card company with production and support ending soon after that. Nvidia didn’t immediately use the SLI technology, and it lay dormant until 2004 when the company relaunched it as Scalable Link Interface geared towards use in PCI-e slots rather than the previously used PCI slots. From here the technology has risen to become ubiquitous with most modern day Nvidia GPUs, and the vast majority of standard motherboard chipset technology, notably the Intel X and Z series, supports SLI. Much of the hardware technology has been replaced and updated to suit modern needs, but the underlying concept of utilizing the power of two parallel GPUs remains. SLI works on a master and slave basis where one card acts as the final port of call, or master, responsible for sending finalized 3D rendered graphics to the display. The technology can link up 2, 3, and 4 GPUs at once, stylized as 2-Way, 3-Way, and 4-Way SLI. Standard SLI bridge with a transfer bandwidth up to 1GB per second and sporting a 400 MHz pixel clock. SLI LED bridge that is very much like the above standard bridge except with a 540 MHz pixel clock and the ability to emanate RGB LED lighting when in operation. SLI HB bridge or high-bandwidth bridge that runs at 650 MHz with transfer rates nearing 2GB per second. Nowadays, this is the most common bridge. The NVLink bridge is the most recent format and unique to the Nvidia RTX line of GPUs. It boasts speeds up to an incredible 100 GB per second. The different transfer rates mean each type is suited to a specific resolution. 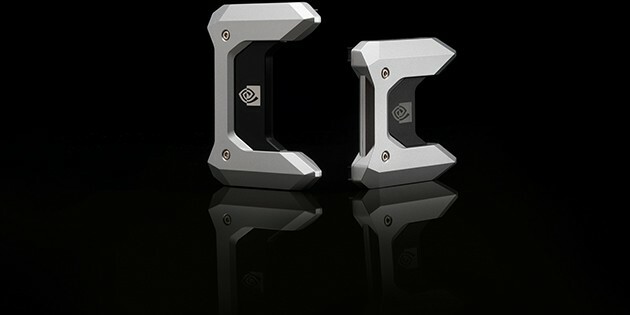 The SLI bridge works best at 1080p, the SLI LED at 4K, while SLI HB and NVLink are suited to 5K. As for how SLI works, it all comes down to splitting the rendering tasks equally among the GPUs. In most cases, one card will concentrate on a set of frames, while the other works on the other half. Combined their create a full-formed frame ready for display on a monitor. Split Frame Rendering, whereby the rendering load is broken down horizontally in chunks based on 3D complexity and divvied up to the GPUs. Alternate Frame Rendering, whereby each GPU renders a frame in succession. GPU 1 renders frame 1, GPU 2 renders frame 2, GPU 1 renders frame 3, GPU 2 renders frame 4 and so on ad infinitum. The result is a higher frame rate. SLI Antialiasing, whereby the antialiasing capabilities is increased two-fold by sharing the processing task equally among the GPUs in an offset pattern. The result is strikingly better visual quality, but performance tends to take a hit as a consequence. You may have come across this option in the settings for games often accompanied by ”SLI 8X” or ”SLI 16X” and wondered what it all means, now you know! For SLI to work, developers must code games to support the technology. Due to the inherent complexity of gearing two GPUs to work in unison, the process involves substantial amounts of work. Once they’ve established a solid bed of settings that don’t break the game, Nvidia publishes what is called an SLI profile, which contains a set of driver updates designed to prep the GPU to work with the game and enhance the graphical performance of the title. 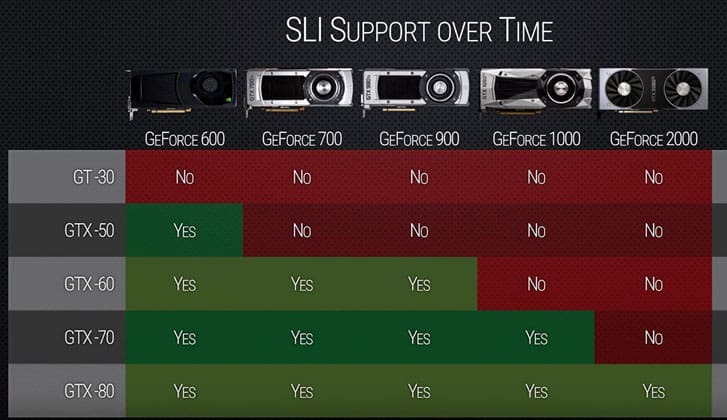 SLI support has been declining ever since the halcyon days of the GTX 600, 700, 900 series of Nvidia GPUs. During those years, most games strived to support SLI, and there was a marked push from both Nvidia and developers to integrate the technology. On the consumer side interest was high, and SLI proved an affordable way to more or less double a machine’s graphical capabilities. 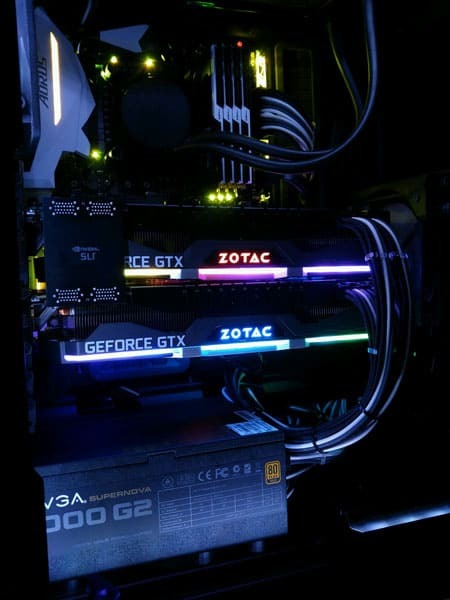 However, with the advent of ever more powerful single GPUs, notably the 1000 and 2000 series, more than capable of meeting the demands of ‘’ultra’’ settings in today’s games, the need for a dual GPU setup is nearing obsolescence for the average gamer. The fact that only a small minority of gamers use SLI means profile creation is limited to fewer and fewer new games. 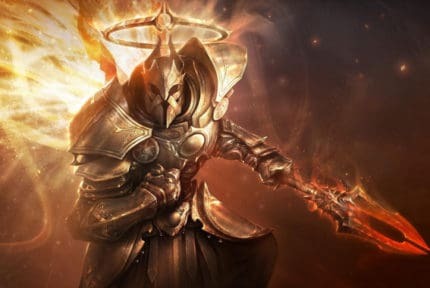 Developers prefer to focus their resources on game features, bug fixes, and changes that affect a large portion of single GPU gamers rather than code their games to support SLI, or at the very least not break, for a niche group of purists looking to achieve outlandish FPS and resolutions at 5K or above. In many ways, the lack of consumers buying dual GPU setups means developers are less likely to channel their attention into SLI support, which itself means fewer people buy SLI-geared machines. The cycle perpetuates itself. For games that do support SLI, the scaling often falls short of the 200% expected from two identical GPUs and the SLI tech is prone to micro stuttering (especially in Alternate Frame Rendering mode) and other performance issues absent from single GPU rendering, a fact that puts off many consumers curious about SLI technology. Also, many new and old games won’t work with SLI enabled, meaning it must be turned off to play. With this, the price consideration once again rears its head, with many not seeing the logic in spending twice as much for so little return. The power requirements of an SLI setup also factors into this trend. Ultimately, Nvidia seems to be slowly phasing out SLI support as it ships newer models, which is the best sign that the technology is on the decline. Of the most recent RTX series, only the RTX 2080 and RTX 2080 TI support the NVLink required for dual SLI GPUs. The price of these models means the likelihood of anyone beyond power users using the tech is unlikely. To further dent the fortunes of SLI, DirectX 12 doesn’t currently support SLI. As more and more developers migrate towards the newer and more versatile version of the omnipresent API, the possibility of titles supporting SLI plummets in parallel. SLI devotees claim otherwise. However, there is the distinct sense that after funneling thousands upon thousands of dollars into a top of the range dual GPU setup, this group is eager to justify their investment with a brash and hearty dose of cognitive dissonance. If SLI tempts you, pay heed to the current state of SLI support for the majority of games. With that said, if you’ve got the finances to back such a setup and are sure to benefit from increased FPS and higher resolutions, then SLI may be perfect for your needs. 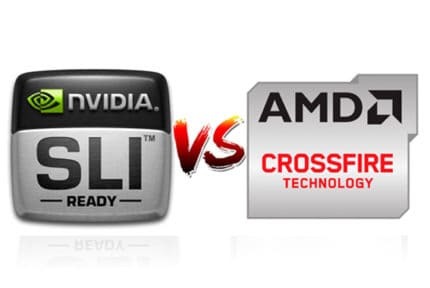 AMD CrossFire vs NVIDIA SLI - What's The Difference?